Great mid tiered Disney resort. Good access to resorts and Disney springs. Nice room with natural surroundings. Dining little pricey for he quality of food. Daily parking fee. Good outside view form select suites. Disney shuttle to the parks. Long check in lines. Great amenities. Busses were always full, and sometimes you had to wait for the next bus. Pools were heated, which was great when it was only 60F. The hotel is nice and quiet with one main (loud) pool and several quiet pools. Unfortunately, the only hot tub on site is at the main pool, right next to the activities person yelling on a microphone. The rooms are well-thought-out for a family, with two sinks outside the main bathroom, and a curtain to pull shut there for changing. The staff are helpful but not intrusive, and less friendly than I would have thought. The transportation is not as "magical" as we anticipated. It took forever to get to and from any park or Disney Springs. Great hotel! Beautiful grounds..Room was beautiful. We had a standard view but was very nice. Close to Magic Kingdom and Disney Springs. Boat or Bus transportation to Disney Springs. Excellent food court choices as well as a table service restaurant. Beautiful lobby and well themed to represent the deep South. 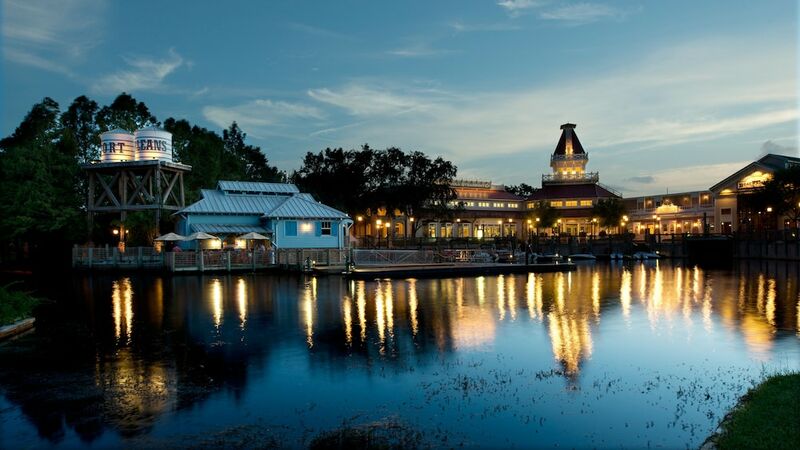 Disney's Port Orleans Resort - Riverside places you within a 10-minute drive of popular sights such as Disney's Lake Buena Vista Golf Course and Disney's Boardwalk. This 2048-room, 3.5-star resort has 6 outdoor pools along with a marina and a restaurant. For your convenience, breakfast is available for a fee. Savor a meal from the comfort of your room with room service, or grab a bite to eat at the onsite restaurant. A TV comes with cable channels, and guests can stay connected with free WiFi. Other standard amenities include a refrigerator, a coffee maker, and a ceiling fan. Guests of Disney's Port Orleans Resort - Riverside have access to a marina, 6 outdoor pools, and a children's pool. If you drive, self parking is USD $19.00 per night, or you can take advantage of the free airport shuttle (available 24 hours). Multilingual staff at the front desk are standing by 24/7 to help with tours or tickets, dry cleaning/laundry, and securing valuables. Other amenities at this family-friendly resort include a fitness center, a spa tub, and express check-in. The resort has 6 outdoor swimming pools and a children's pool. A waterslide, a spa tub, and a fitness center are other recreation options.